It’s been six long years since Wong Kar-Wai’s last film with The Grandmaster. Before that, we similarly had to patiently wait for another span of six years to pass between My Blueberry Nights and his 2013 martial-arts film. Thankfully, Kar-Wai isn’t going to make us wait too much longer for what’s next. While receiving an award at the Hong Kong Film Writers Association on Sunday, the Chungking Express director announced plans to begin production on his next film Blossoms. Kar-Wai revealed he’s nearly done with the script, which he’s been meticulously working on for the last four years, and hopes to start filming by the end of this year or early 2020. Even better, this won’t be just any new Kar-Wai feature, but an extension of In The Mood For Love—one of his best and easily one of the greatest films of the 21st century—and its follow-up, 2046. According to Ming Pao (h/t The Film Stage), the filmmaker said Blossoms, which is based on Jin Yuecheng’s 2013 novel, would be the “third part” of In The Mood For Love and 2046. It’s an interesting remark since, as Kar-Wai fans know, those two films already form the middle and final installments of the loose trilogy that began with his 1990 film Days Of Being Wild. Though an informal trilogy, the three are connected not only thematically, but by overlapping characters played memorably by Maggie Cheung and Tony Leung. Technically, that would make Blossoms the final piece of a quadrilogy, but we won’t get too picky about Kar-Wai’s choice of words. 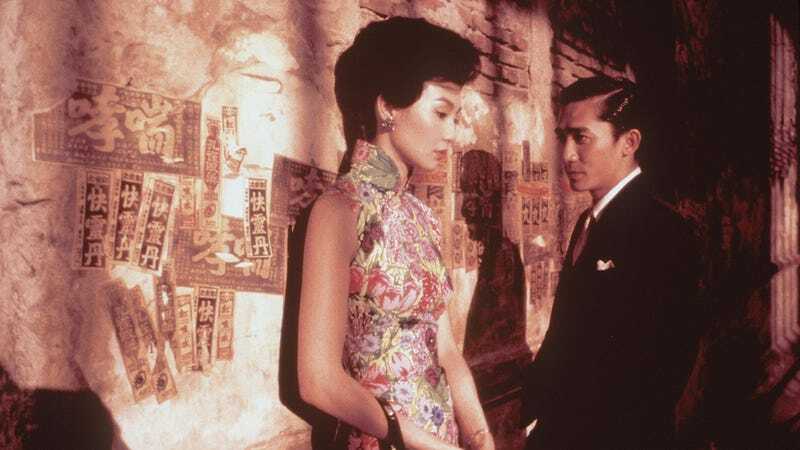 It’s unclear how Blossoms will be connected to In The Mood For Love or 2046, but the four-decade-spanning plot could at least offer opportunity to dip back into the worlds of both. Blossoms will follow three young men from various backgrounds and neighborhoods of Shanghai across two timelines, charting their stories from the end of China’s Cultural Revolution in the ‘60s, then from the ‘80s into the early ‘90s. Kar-Wai has previously spoken about how personal the film will be, telling Indiewire how he left his hometown of Shanghai in 1963 and didn’t return again until the ‘90s. “This is my opportunity for me to fill in all the things that I have missed,” he’s said of Blossoms. No one’s been cast in the film yet, but we’re hoping Leung and Cheung are free to at least drop by for cameos.